Getting enough Omega 3 Foods is important for your health. The glitch is that most of us don’t get anywhere near what we need, especially if you’re eating a typical Western diet. Instead of enough Omega 3 rich foods, we’re chowing on grub that contains too many unhealthy trans fats, saturated fats and mainlining Omega 6 fats with our over reliance on processed and fast food. The result is an Omega 3 deficit and higher risk of inflammatory conditions including heart disease, type II diabetes, arthritis, IBS and dementia. Oy! green leafy veg, including spinach, kale, broccoli and cabbage, especially when served fresh, raw or merely warmed. While you should aim to eat the above at least a few times a week, the exception is green leafies. You should be packing in the green veg on a daily basis. Getting your Omega 3’s – Go Fish! Top Omega 3 Fish - Mackerel, herring, salmon, anchovies, tuna, sardines and swordfish. The smaller varieties are a better bet when it comes to concerns about mercury because they haven’t accumulated as much. 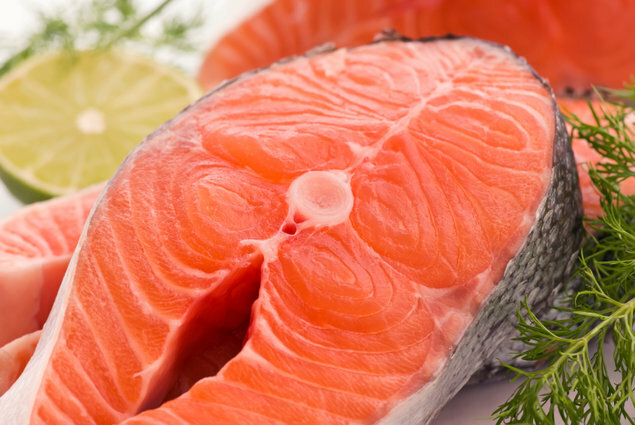 Cold water fish is one of the best and most available Omega 3 foods. It’s ideal because it contains both EPA and DHA, the most bioavailable forms of Omega 3. Much of the research on the benefits of Omega 3 in respect of inflammatory conditions like arthrosclerosis, arthritis, dementia and cancer, use fish oil supplements. The evidence is clear – fish oil is a superb Omega 3 food. The one caution with fish is that some species can contain concentrated amounts of mercury – a danger if consumed too often. Tuna, mackerel and swordfish are contaminated routinely especially the greater the size of the fish. The USDA and British authorities caution pregnant women and children to limit their intake of these species because of this. Wild Pacific salmon and smaller fish like sardines and anchovies are a safer bet, when excess mercury is a concern. When buying fish oil supplements for your EPA and DHA, make sure you buy a brand that is “molecularly distilled” or source oil from wild salmon. This eliminates most of the mercury. One of the most available sources of Omega 3 foods are nuts and seeds. Unlocking the Omega in Omega 3 Foods – When eating flax seeds, grind the seeds immediately before eating in order to release the fresh oil and ensure they don’t go rancid with exposure to oxygen. When not ground, much of their Omega 3 benefits will go right through you. One advantage of Chia seeds is they don’t need to be ground to release their Omega 3 goodness. They provide a type of Omega 3 called ALA. While you have to consume a bit more to get the same anti-inflammatory bang as EPA and DHA in fish, the Omega 3s in nuts and seeds and other plant foods are excellent quality. Top Omega 3 Nuts include flax, chia, pumpkin seeds and walnuts. Because of Omega 3’s vulnerability to damage from heat, light and oxygen, it’s important to eat your seeds and nuts and their oils raw and fresh. Always store in a cool, dark container and not leave exposed to air. The fridge is ideal. If your oil, nuts or seeds smell “off”, discard. The Omega 3s have become rancid and damaged and will do more harm than good. Heavy toasting or heating at high temperatures will damage Omega 3s, so never use Omega 3 rich oils like flax, pumpkin, walnut and hemp for cooking. Instead, drizzle on salads or warm vegetables or pasta. Always used cold or mechanically pressed versions and never use those refined by heat or chemical, which is how most commercial grocery store oils are prepared. The delicate Omega 3 oils likely will be damaged or destroyed. Finding meat that qualifies as an omega 3 food involves sourcing meat from animals that have been pastured – i.e. Grazed on green grass, which is Omega 3 rich. Remember that animals are like us and “are what they eat”. When it comes to milk containing Omega 3’s this is a little more challenging to get. While pasteurization kills many pathogens that can harm humans, the high heat destroys the Omega 3s as well as denatures some of the milk proteins. In order to have Omega 3 rich milk you’ll need a reliable source of raw milk from cows that have been grass fed. Check out the Real Milk web site for sources in the US. Eggs can be a great Omega 3 food as well, provided the chickens are fed an Omega 3-rich diet. This is generally a feed high in flaxseed, chia or other Omega 3 rich seeds. Luckily, Omega 3 rich eggs are widely distributed in supermarkets and are identified as such on the package. Don’t forget green leafy veggies as an Omega 3 foods source. They’re important source because they deliver a lot more to your diet than just healthy fats but are chock-a-block with other nutrients like magnesium, selenium, Vitamin C and carotenoids. They should also have a daily place in your diet. Some of the top Omega 3 vegetables are Swiss chard, spinach along with the cruciforous veg like broccoli, kale, cabbage and brussel sprouts. Remember that fresh raw veg will retain the most Omega 3’s. When cooking, make sure you don’t kill a dead horse as they say and use a light low heat touch when it comes to preparing. For more about Getting your Omega 3’s from Food and related topics…. For more about Omega 3 Benefits including Omega 3 Foods, press here. 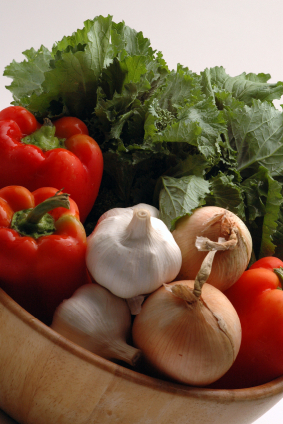 Press here for more about anti-inflammatory diets. Press here for more on the inflammatory foods. Press here for more about a healthy heart supplements including the role of Omega 3s. For more about Omega 3s, mental stress and heart health. Press here for more about preventing high blood pressure and the role of Omega 3's. Press here for more about cancer prevention diet and the role of Omega 3s. Press here for the Healthy Diet Site Map. Press here for Healthy Diet Home.